Breaking Down the Slim PSP: Any Better? It's slimmer, it's trimmer, but is it any better? We look inside the new PSP. OK, so the hype train has left the station and Sony isn't at E3 anymore. So is the new PlayStation Portable model introduced at the company's press conference gaining any kind of buzz? You bet it is. 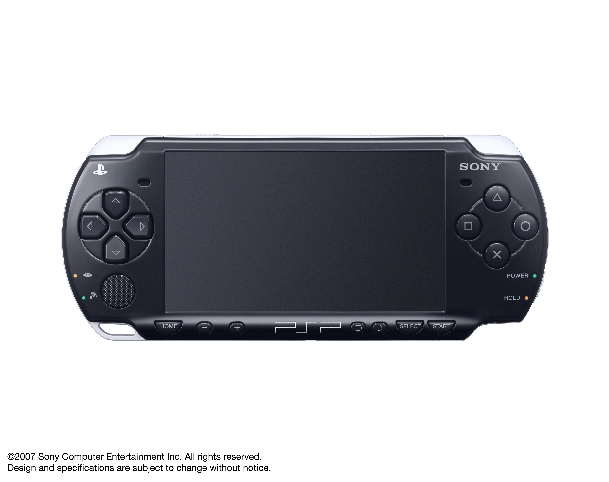 Originally announced as the PSP "Slim", this newer modeled system not only features a more compact and lighter design than the original, but also comes in three different flavors -- the solo "piano black" color, the "Icy Silver" Daxter pack and the forthcoming "Darth Vader white" edition coming next month, bundled with Star Wars Battlefront: Renegade Squadron. (That doesn't make much sense, by the way -- Darth Vader on a white PSP? Oh, wait, he did turn "good" at the end, didn't he? Huh.) Luckily for some gamers, the Icy Silver system made its way to store shelves a few days early, ahead of the September 12th launch date originally slated for it. Tempted by fate (and the eagerness to have a PSP system that didn't feel so fragile), I decided to pick it up and give the system a try. First of all, the packaging needs some work. The system comes in a sleek box with the unit in one part and the rest of the accessories, namely the AC adapter and the accompanying software, in the other. Unfortunately, you have to cut through a lot of crappy plastic casing to get to the system, only to then have to peel off a Daxter sticker on the front of the screen. Good thing it doesn't leave any kind of residue, however. Once that's aside, that's where the fun begins. Old PSP...The screen appears to be the same size as the original PSP screen, as far as width and height go. It does seem a little darker, and not nearly as so strenuous on the eyes. That's a good thing, though, especially for those prolonged midnight sessions of Lumines and Jeanne D'ArcThe screen's easier to see this way, without losing any of the finer details that the previous PSP managed to capture. The sound works the same way, with crystal clear audio, music and other effects coming through without a hint of being muted. Let's talk about the feel of the system, though -- a real important factor as far as this new hardware is concerned. SCEA wisely tuned up the directional pad on the front of the system so it feels more comfortable, a godsend when you consider the fighting games available for the system. It actually manuevers better than before, rather than being a stick in the mud that holds back fluid movements. That's because of wider panels in the D-pad itself, easier to handle on the thumb. The analog nub remains the same, while the shoulder buttons and shape buttons on the face of the system remain just as accessible as before. With the system's new layout, it's also less likely to have smudges than the clear black casing on the original system, although the screen is still very susceptible to having fingerprints and lots of crap on it. Keep a clean wipe on hand, just in case. Some stuff has been moved around on the system, some items for better and some for worse. The WLAN switch, for instance, no longer sits on the bottom of the system, but rather the top. It's easy to flick on and off, however, so no worries. The Memory Stick panel, however, takes a little adjusting to. You have to remove a panel from the side of the system, attached to it with strings. From there, you have to forcibly snap your Memory Stick into place, putting the panel back in place once it slides in. If you remove your Stick often and interchange saves with other people, this can prove to be difficult. Otherwise, it's just a small burden that's easy to overcome. What's really worth noting, however, is the loading tray. Rather than popping discs out automatically with the flip of a switch, you have to manually open the tray with a thumb tab, lay the disc in there, and close the tray back up for the disc to load. It works conveniently enough, although there is some slight difficulty in getting discs back out. No longer are you able to simply grab the edge of the disc as it pops out of the system -- you have to do a slight bit of digging. ...new PSP!One of the really cool features for the system, though, is the TV connectivity. Before, the only way you were able to connect the PSP to a television for on-screen play was with Nyko's horrible, lumbering add-on with the piece of crap camera built in. Blech. Fortunately, the new PSP takes an easier route. Players simply have to buy the extra AV or S-Video cables, hook them in to their television, attach the coordinating end to the bottom of their PSP, and set up options in the menu. That's it. You're ready to play games on the big screen -- and they look very good. The slim PSP supports progressive scan, along with 16.9 and 4.3 ratios, although it's best to just stick to games -- the UMD videos aren't nearly as impressive as DVD's and higher end formats. Maybe it's just me. 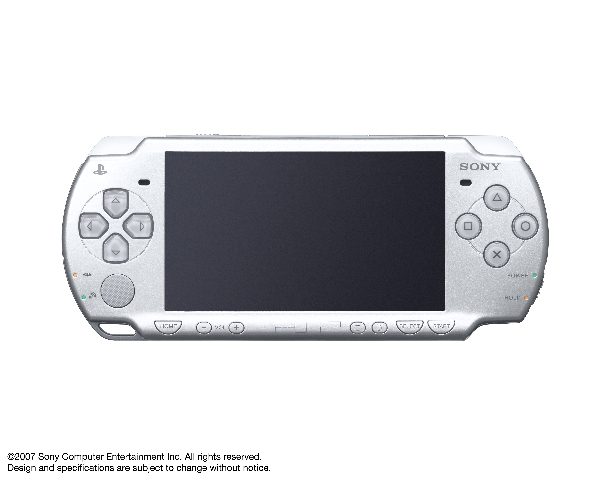 One word of caution -- the slim PSP doesn't really work well with previously released accessories. Take the PSP skins released all over the web. They won't fit worth a damn on the slim model, as they stretch themselves out too far. Furthermore, the Logitech case, along with other pre-built PSP protective cases, don't do much good here either. The system slides around loosely, causing damage to the sides. Word of advice: just stick with the PSP protective sleeve that initially came with your original system after you picked it up. The slim PSP fits fine in it, without any real worries. Overall, the slim PSP is quite a piece of work. It's lighter than the original system (about the same weight as the Nintendo DS Lite), has TV connectivity right out of the box (although additional cables are required -- and should hit stores this week), and works with all the current software and UMD's for the system. Some better pack-ins would've been nice (but they're coming with the Star Wars model) and the price may be too much for some, but for those seeking out a sleeker PSP for their money with a lot to offer, it's a must-buy, period.